Over the past few weeks we’ve been raising funds for Saigon Children’s Charity as we prepared to climb northern Vietnam’s Mount Fansipan, Indochina’s tallest mountain at 3,143 meters. The time finally came to make good on our commitment and headed up to Sapa to start our journey this past week. We started the trek at Tram Ton, Vietnam’s highest pass at 2,100 meters, and arrived in high camp 12 kilometers and 6 hours later. A bit slower than the 1 hour 37 minute record some alien apparently conquered the journey, but we were proud and excited none the less. The first day took us up through alpine forests, across creeks, and over some rather slippery boulders as we chased our H’mong guide (who I am convinced is part mountain goat) to 2,800 meters. As we climbed higher, we finally made it above the cloud line, which meant better visibility, but also a nice little drop in temperature to around 8 degrees Celsius. Not exactly what we’re used to down in Saigon, but thankfully we had toasty sleeping bags and plenty of clothes. A little bit of local rice wine to warm us up didn’t hurt either. The next morning we woke up to clear skies and an incredible sunrise. Patchy sleep didn’t deter us and we got on our push to the summit around 6:30am. The morning climb over Fansipan’s adjacent peaks was by far the highlight. Views of the valley below, the red flowers of the Rhododendrons on full display, and glimpses of the peak through rolling clouds all made the seemingly endless steps feel secondary to the cause. As we neared the summit, we entered into the temple complex that winds itself up to the peak. As we navigated the myriad of statues, temples and stairways, the clouds rolled in reducing visibility to near zero creating a mysterious gauntlet to weave through. Though we couldn’t see much more than a few meters in front of us, it was still such a fulfilling moment seeing that marker through the mist at the top of the mountain. There are 4 ways to the top. 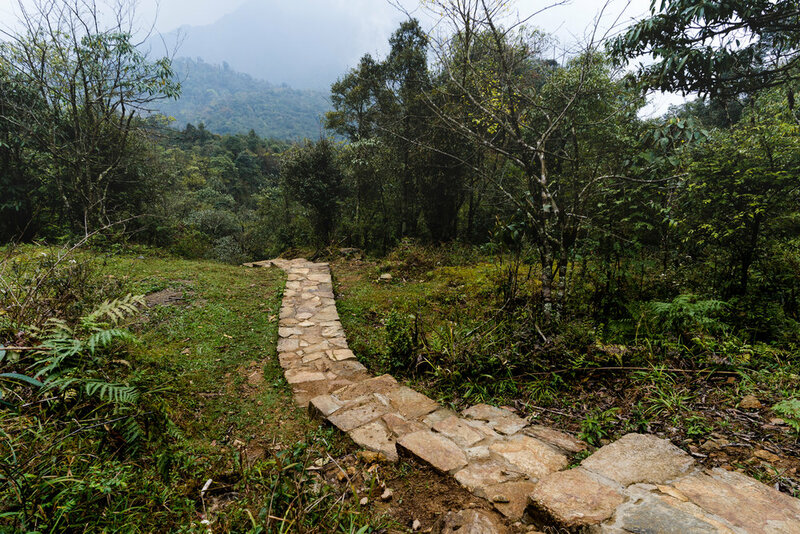 3 trails of varying lengths and difficulty and the cruisy 20-minute cable car from Sapa. I’m not going to lie, I was relieved to take the car down after a strenuous day and a half hike, but I did chuckle hearing those who thought the 600 stairs from the cable car to the summit deserved a medal. If you’re a photographer planning on heading up to the roof of Indochina, I’d suggest packing light. Just to give an idea, I probably packed a bit too much as I took my Sony a7iii, both my Batis 18 and 85 as well as the Zeiss 55 in a Mindshift Backlight 26. I used the rest of the bag for clothes, a rain kit, and snacks. No tripod, I probably could have gotten away with leaving a lens or two behind, but hindsight is 20-20, yeah? And finally, If you’d like to donate to the cause, we’d really appreciate it, and I’m sure the kids in the Mekong Delta benefitting from these funds would as well. The money we raise goes to building and repairing schools in some of the poorest areas of Vietnam. Over the past few weeks, as you may have noticed, I have been a bit off the radar. Partially voluntary and partially by sheer logistics. The lunar New Year, or Tet as they say here in Vietnam, brought a much needed respite and a bit of digital detox was in order. I’ll have plenty of images up here in the coming days (Indonesia was incredible!) so check back for those. That said, I had such a backlog of images and I wasn’t quite sure where they would live, so I’ve decided to use this space to show some of those. 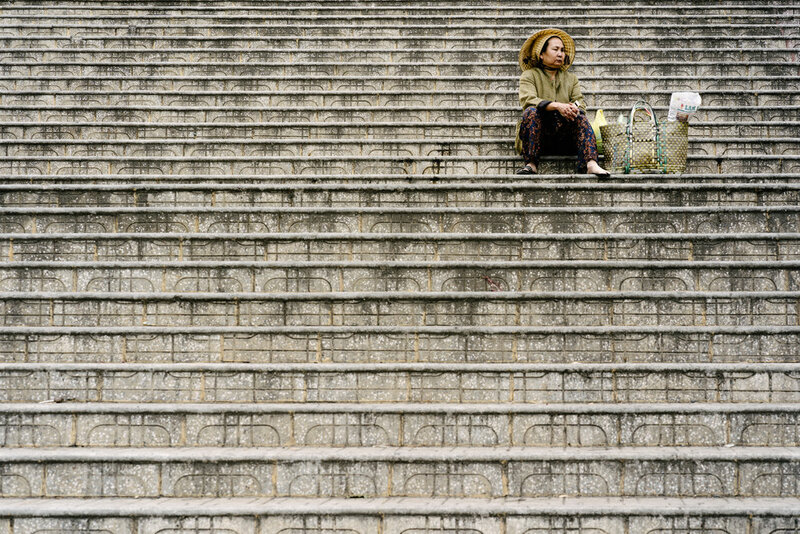 Over Christmas, we headed up to the highland outpost of Dalat, around 6 hours north of Saigon. 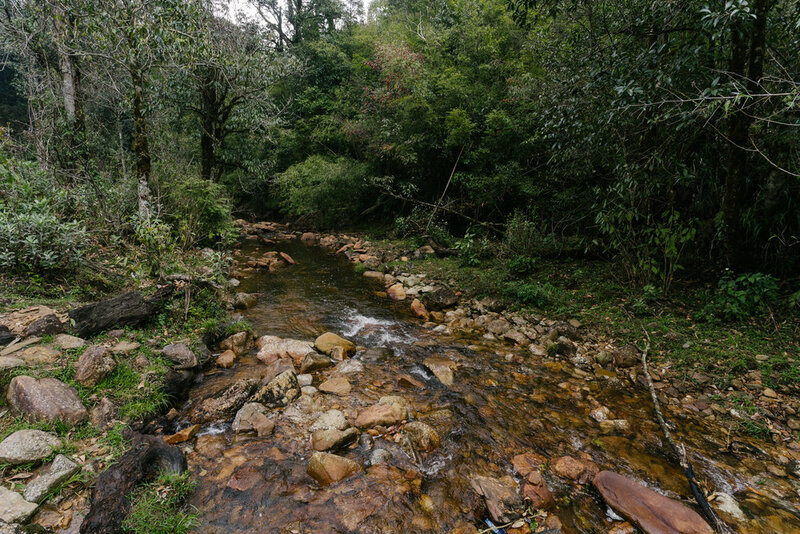 Historically, Dalat served as a getaway for French colonialist due to it’s cooler weather and “European” feel. French villas, pine trees, lakes, and crisp evenings made this place a slice of home I suppose. These days, while Dalat is still known for its cooler temps and outdoorsy activities, its also the home of where most of the organic produce is grown in Southern Vietnam. Farms dominate the countryside, and little food stalls seem to be every few meters. While I love Saigon, it was literally a breath of fresh air getting up into the mountains. Here are just a few shots from the weekend. Those of you who live in Saigon, where is your favorite weekend getaways? We’re always looking for new places to explore, let us know in the comments below!